If you want to eat healthier, you are more likely than not trying to consume less sugar. It seems there is always a holiday, birthday, anniversary, or some other “reason” to eat sugar. 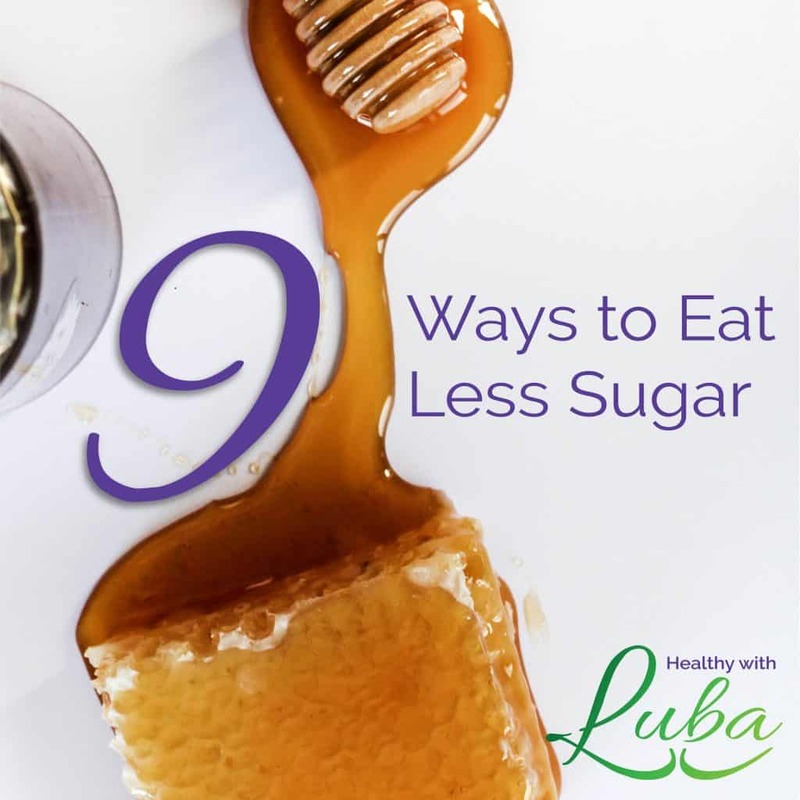 Here are nine ways you can eat less sugar. Before you assume that there is no sugar in what you are purchasing at the grocery store, be aware that many foods have sugar added. At home you have more control over what you eat. When you stop using boxed mixes, you will ingest fewer chemicals and less sugar! Plus, you will eat much healthier. 4. Snack on vegetables and nuts. Instead of snacking on fruit, fruit snacks, and chocolate bars, keep vegetables and nuts at home and in your office. You can also avoid the vending machine and all its sugary snacks if you have your own healthy snacks with you. Dessert can have a negative connotation, yet you can find healthier recipes that use much better ingredients such as almond flour and maple syrup. You do not need to read as many labels if you eat whole foods. There is less sugar in the apple than there is in cookies, cake, and ice cream. 7. Subsitute honey or maple syrup in your foods. If you are making a smoothie, add honey instead of sugar. For your oatmeal in the morning, add honey or maple syrup. 8. Cleanse your body of toxins. Before I did a cleanse, I could not get enough sugar. 9. Be sure that you are taking a high quality multi-vitamin. Your body needs nutrition, yet that craving for nutrition can be misinterpreted as a craving for sugar. These are wonderful tips! I am currently in a kick to cut down on sugar (desserts are my downfall). I’m making a big effort to buy foods without hidden added sugars. And currently I’m cutting out all desserts to cleanse my body from sugar. Thanks for the reinforcing what I’m doing through this post – it helps me know I’m on the right track!